Dilley Allergy and Asthma Specialists is pleased to announce an added tool right in our office that will enable us to better diagnose sinus disease in our patients. We now have the Xoran MiniCAT™, a high quality imaging scanner that will enhance our ability to diagnose chronic sinus conditions. Many patients believe they have severe allergies when they visit our office and in many cases it turns out to be a chronic sinus problem. We believe that early diagnosis of sinus disease may lead to a more rapid improvement in your symptoms. 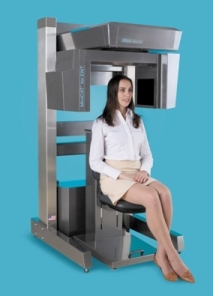 The study is done in 20 seconds or less, and the scanner is an open design as shown so there is little to no discomfort to our patients.